The early part of 2014 felt like a moving target and CJ has had his fair share of mixed feelings about it all. Though I warned him early in his cycling ‘career’ that this sport would have him emotionally up and down at times and he should have taken up skateboarding as I did. 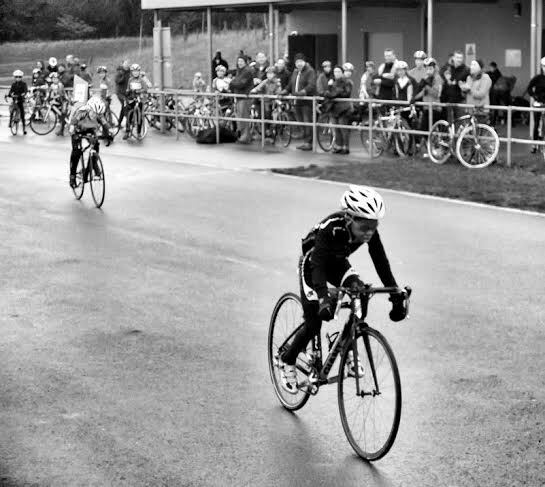 Well first on the 2014 calendar was Round One of the Winter Series at Hillingdon, and with a large field CJ hoped for a podium placing and from the gun it wasn’t long into the race before it became apparent his only opponent would be Tom Davies from Welwyn Wheelers. For the first couple of laps in their breakaway the pace was pushed hard and CJ held Davies wheel until the Welwyn racer made an attack that saw CJ dislodged and leaving him in limbo for the rest of the race and yet again questioning his conditioning at the bogey circuit. Even so, he was pleased to take the two British Cycling points eventually rewarded as the results as ever at Hillingdon were up in the air for over a fortnight. Round Two the following week saw a slightly depleted field and with the under 12’s starting approximately 20 seconds before the under 10’s in an extremely gusty climate, CJ sprinted off quickly ahead of the field and made the error in trying to bridge the gap to the big dogs only to find the conditions detrimental. Eventually he gave up the chase and was closed in by Jed Smithson (Oxon CC) where CJ comfortably took his wheel and exchanged positions for the rest of the race until the last lap where he went for his attack/sprint only to find he was cycling in a sand pit and could not move his bike to where his mind wanted it to go. Eventually just yards from the finish line he pulled in with a shocked face as he had never before ‘bonked’ and headed for the car park with a DNF dying to get home to his Hornby trains which is his way to switch off. Anyway, mama always said there would be days like this especially at Hillingdon. Now after two weeks of playing with steam locomotives and visiting toy railway fairs, it was now back to business for the toughest race in the South East calendar and Round one of the best youth three part Series. 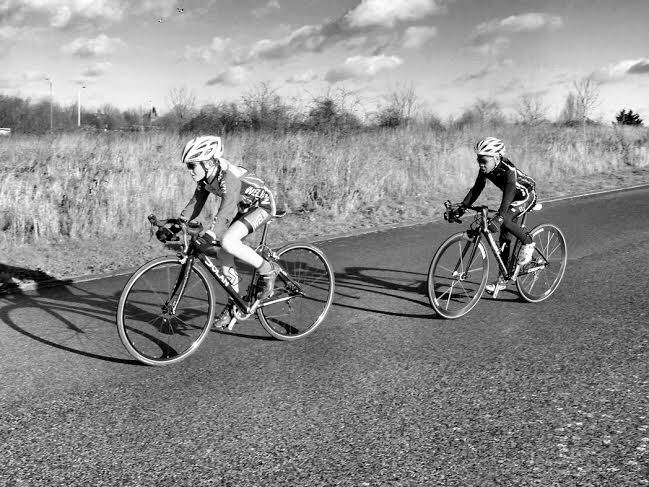 The field was near to thirty racers and in attendance were teams from Wigmore CC, Barking & Dagenham CC, San Fairy Ann CC, Chelmer CC and Cycle Club Ashwell. 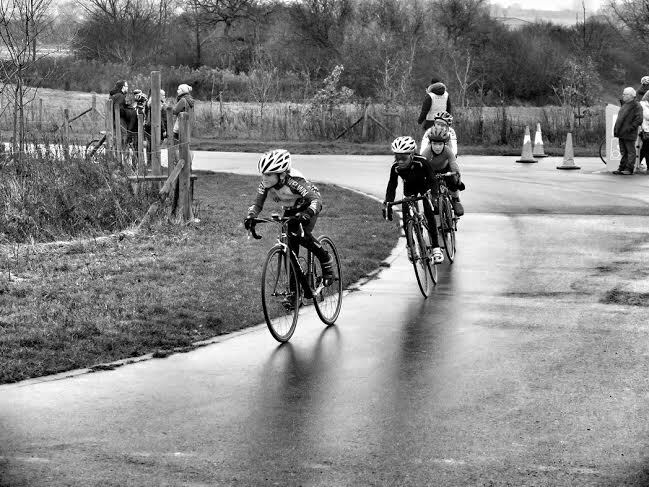 Conditions were wet but mild and from the jump Davies pushed the pace and only CJ, Charlie Martin (Barking & Dagenham CC) and Alfie Wood (Wigmore CC) could go with the Wheeler. With the tempo being so fast only Martin launched a few attacks, but soon settled in the bunch and again the notorious Hog Hill climb on the last lap was going to be the neutraliser. At the base of the hill Welwyn drew first blood until halfway up, where CJ managed to overtake on the outside as the other racers got dropped off, but at the top of the brow it was again Davies holding the cards. CJ held station on the downhill for the tight right turn taking them up the alpine climb and carried in as much speed as possible in the wet conditions – it was then that he decided to out climb his rival again before the penultimate corner. This time there was no reaction to the attack and CJ rounded the final turn to take the flag by a few bike lengths and victory for the Black, White and Yellow. 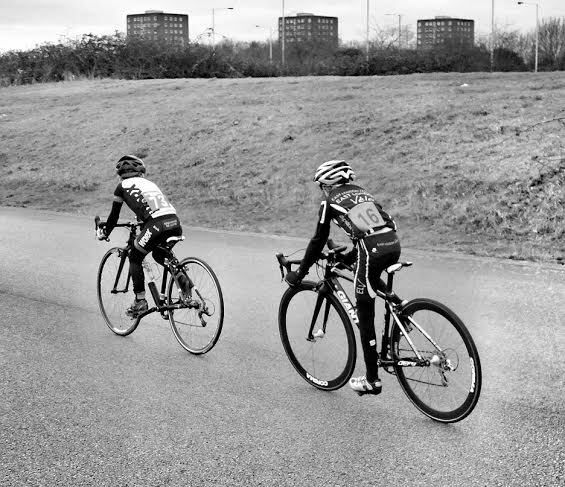 CJ was also over the moon later in the day when Theo Modell took the under 14’s win by near two minutes to complete a shut out by the East London Velo youth racers. Lastly, yet again the organisation by Lee Valley Youth Cycling Club and Redbridge Cycling Centre was exemplary and a credit to all involved.